In default, we use English language for our blog as it is most used international language. Recently, blogger had upgrade with 9 basic languages: Amharic, Arabic, Bengali, Greek, Persian, Gujarati, Kannada, Hindi, Malayalam, Marathi, Nepali, Punjabi, Russian, Sanskrit, Serbian, Tamil, Telugu, Tigrinya, and Urdu. How to Change the Language of your blog? 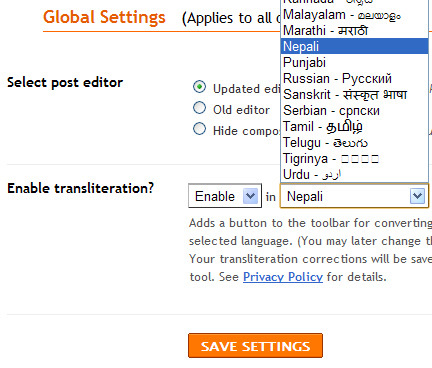 I'm quite happy as it has added Nepali language although I'm not using it as primary language in Hack Tutors.